Prices are €2.50 / $2.80 for the copper version and €12.50 / $14.00 for the silver version (non including VAT for European members). 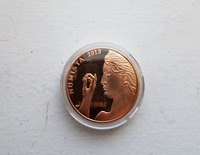 You'll also get a chance to buy the 2013 copper token, with a limited stock of only 12 remaining tokens. Could you please specify weight, purity, diameter, mintage and things like that? Referee for Cayman Islands, Turks and Caicos Islands, Italian states, Niue, Order of Malta, Pitcairn Islands, Samoa, American Samoa, Sarawak, Tibet and Zambia. All of my swap list is for sale. 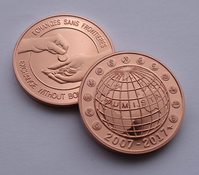 Thought the coins on the palm could be looked messy but actually looked nice! Wow! These look beautiful. Thank you to all those who put these into production. Those silver ones look good! ​Yeah, no PayPal option is a bummer. I'm hesitant giving my credit card information to a third-party that I haven't dealt with before. Would that be possible to add PayPal option? I also would prefer paypal. Probably because Paypal charge higher than credit card? As I knew, they charge seller 5.9 % of total amount per transaction. Got mine ordered. Excited to get them! Thanks! Quote: "bbybugs" ​Probably because Paypal charge higher than credit card? As I knew, they charge seller 5.9 % of total amount per transaction. ​Then i will pay this 5.9 %. I don't want to have a credit card. I have the 2013 tokens and i payd them without a credit card. Why is this not possible for the 2017 tokens? I got my coins today!!! So grateful to the team who put these together and who are working on getting them mailed out to everyone around the world who has ordered them. 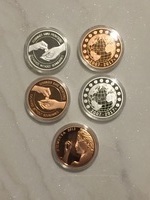 ​I got my coins today!!! So grateful to the team who put these together and who are working on getting them mailed out to everyone around the world who has ordered them. Your payment request has been rejected by your financial institution. Has someone else received this message? ​Your payment request has been rejected by your financial institution. ​Has someone else received this message? ​I got this at first and my credit card company texted me to confirm that I was the one who made the transaction. Once I confirmed it, I was able to order again successfully. I guess they didn't expect me to be ordering something from a European online card processor. ​​Your payment request has been rejected by your financial institution. ​​Has someone else received this message? ​​I got this at first and my credit card company texted me to confirm that I was the one who made the transaction. Once I confirmed it, I was able to order again successfully. I guess they didn't expect me to be ordering something from a European online card processor. ​I didn't receive any text from my bank, I will be going there tomorrow than. Just checked this out. 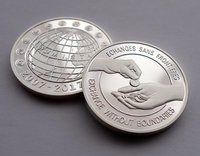 The payment gateway is https://www.societegenerale.com/ which you can google as a legit organisation. Numista do not deal with payments. It's perfectly secure. Successfully ordered 2 silver and 2 copper tokens! My father-in-law just bought 2 silver and 10 copper coins! 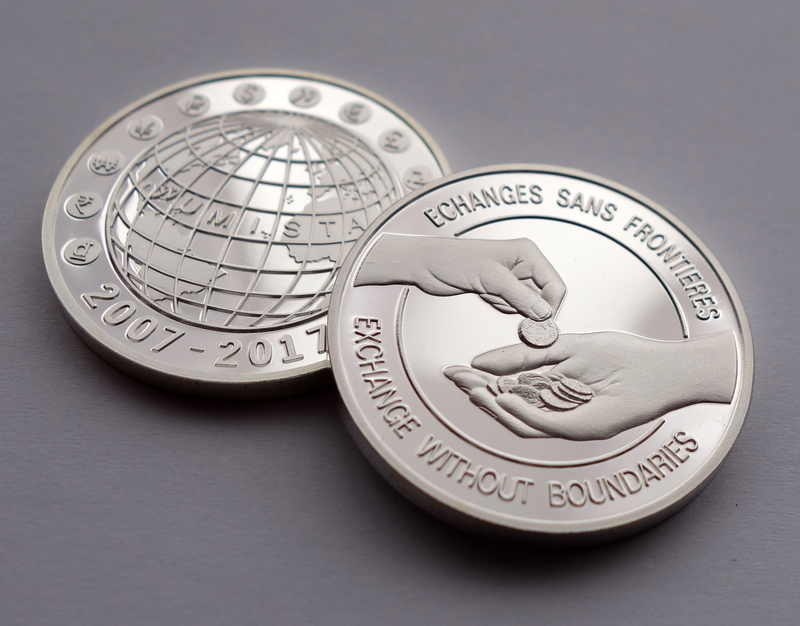 ​The links to other coins in pages are correct? they showing both 2017 and one 2013 only. 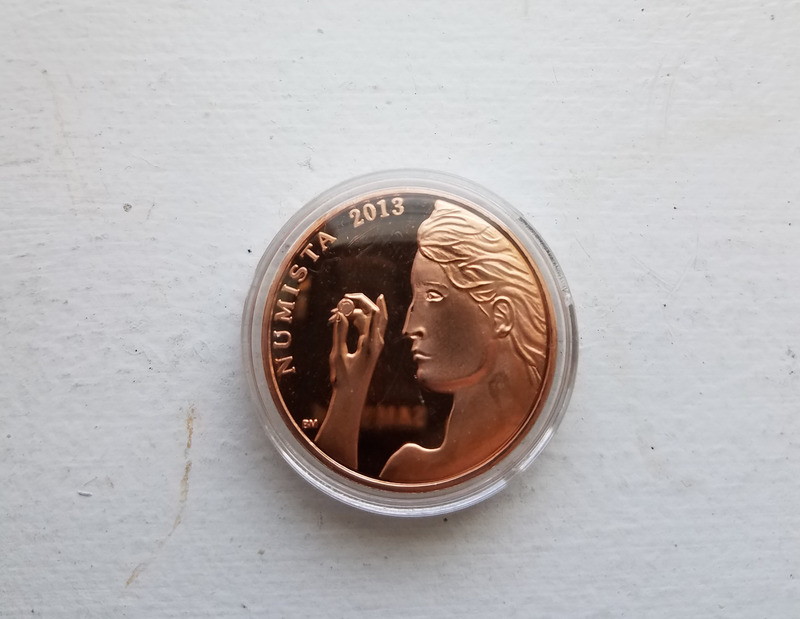 Catalog Referee for Uruguay, Cuba, Bolivia and Puerto Rico coins. sorry, why French is plural, and English is singular? I dont know if there were any discussions about it, so, please forgive me if I ask something which already was answered. I finally got mine .. the copper and silver for 2017 and a copper from 2013... the strike is excellent and I was very happy to see the rupee symbol make an appearance. I'm pretty sure it wasn't in the initial draft of the design ! 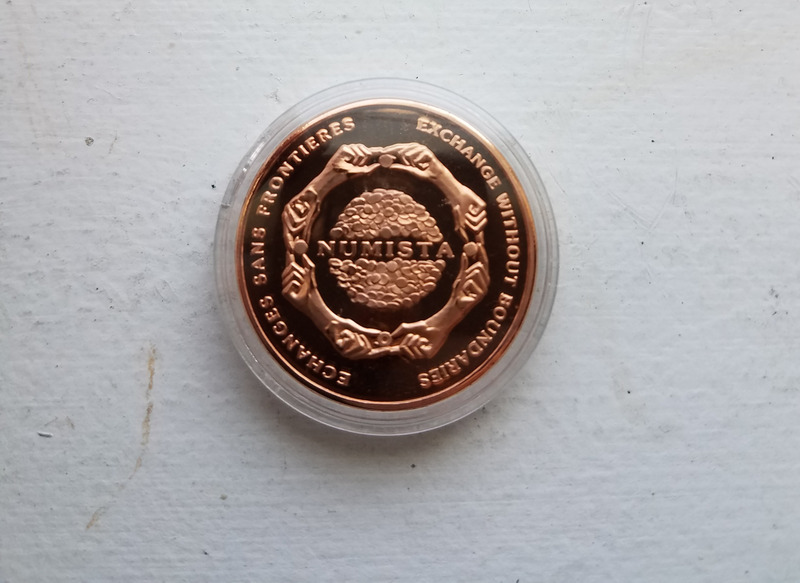 I received both the 2017 Copper and Silver tokens. Very nice! Thank you for the opportunity to purchase these! The tokens arrived. They are wonderful!